Putnam County Playhouse: HAMMY FINDS ITS WAY HOME!!! HAMMY FINDS ITS WAY HOME!!! Upstage Award winner Chet Clodfelter was unable to attend the Annual Meeting on October 11. 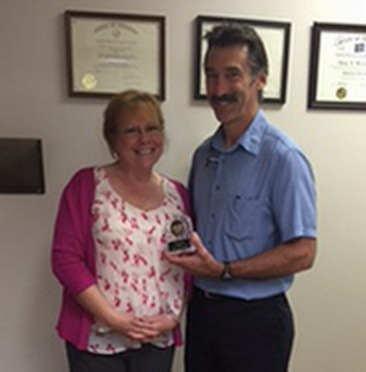 Director of 7 Brides for 7 Brothers, Shelly McFadden, delivered the award to him earlier this week.